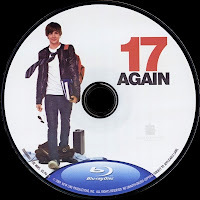 Customers who purchased the Blu-Ray edition of 17 Again (Stock #: NLV1000045437B) will notice that it contains two discs. The first disc features the Blu-Ray edition of the film. 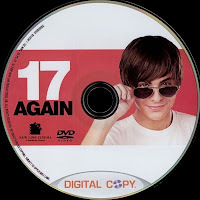 The second disc contains not only a digital copy (a one-time-use file for both Macs and PCs¹), but also a DVD version of the film, which one can play repeatedly on a standard DVD player. The label on the bottom of the bonus disc prominently reads "Digital Copy.” And although a small DVD logo indicates the presence of the standard DVD version on the disc, some people may mistakenly believe it contains only the digital copy. This should work fine as part of your Blu-Ray collection and provide a DVD copy as well. However, if you have received this title and would like to send it back or would like to cancel your current order, please call customer service at 1.800.875.2785. ¹Upon loading the digital copy on a Mac or PC, the user can watch that file repeatedly from that specific computer—and on that computer only. While I like that having this option of both ratings on one disc as it saves on both space and Defesa waste, however, it does set up a challenge when deciding which rating to post on the spine label.